The Virtual Paintout: Greenland | Oh Sarah O ! In March, The Virtual Paintout explored Greenland- which is surprisingly less green than the name suggests. Since Greenland is sparsely populated, there were only a few areas available to explore via Google Maps, and I decided to draw a Street View of Hvalsey Church. According to Wikipedia, Hvalsey Church was a church in the abandoned Greenlandic Norse settlement of Hvalsey. 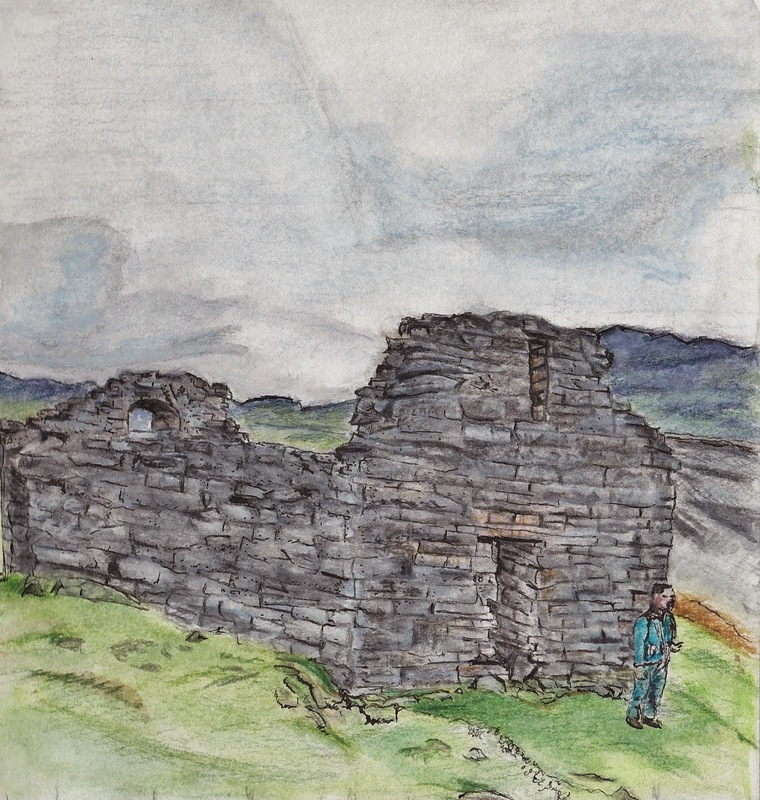 The best preserved Norse ruins in Greenland, the Church was also the location of the last written record of the Greenlandic Norse, a wedding in September 1408. I took my time with this drawing and didn't finish it until the beginning of April, so it doesn't appear on the official website.